Cedevia Zagreb sports director Matej Mamic has turned the Croatian club into a growing power – and he talks about it on Taking The Charge. Taking The Charge Podcast Episode 119: It’s Christmas Eve and the heinnews family is calling but of course there’s a Taking The Charge podcast to get to the listeners. So here you go. 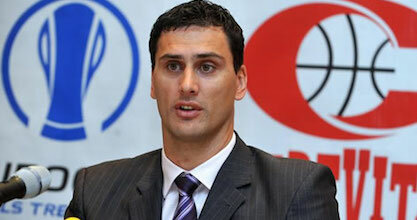 This week’s interview partner is Matej Mamic, the sports director of the up-coming Croatian club Cedevita Zagreb. Episode 119: Breakdown of the show – With the Christmas season taking up my time, this week all we talk about is the interview with Matej Mamic. Happy Holidays and Merry Christmas!! !